It's nice to think we've left something behind in the street! Diane had been putting on a Big Lunch in her street in Warton for years but, one year, personal circumstances made it too difficult for her to organise. Big Lunch day came and went, and soon afterwards, while picking up her grandchildren from school, she was approached by Scott, then a ten-year-old boy who lived on her street. He asked her why there hadn't been a street party that year and, after explaining the situation, Diane encouraged Scott to organise next year's Big Lunch himself so they could keep the tradition alive. 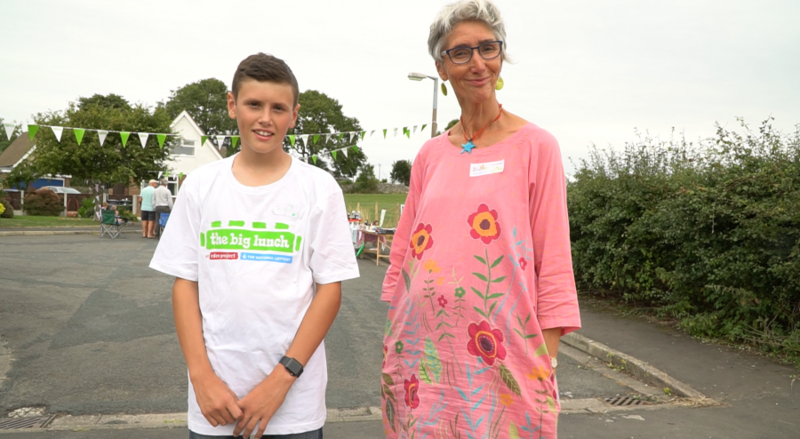 The Big Lunch brought people together in June, but it's had a lasting impact on their neighbourhood. Jonathan, who lives down the road, recently lost his wife, and used to keep himself quite secluded in the community. But, since The Big Lunch, he has started talking to more people on the street. Whenever Scott sees him now, he's always chatting away. Inspired by Scott and Diane's story? Why not join them and organise a Big Lunch in your neighbourhood! You can request your Big Lunch 2019 pack, here. For more information about how you can get involved, head over to our Big Lunch page.